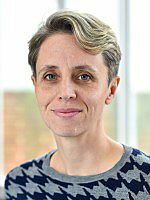 Kathleen Stock is a Philosopher at the University of Sussex, working on questions about imagination and fiction, including: What is the imagination? What is the relation between imagining and believing? What is fiction? Can we learn from fiction? Are there limits to what we can imagine? 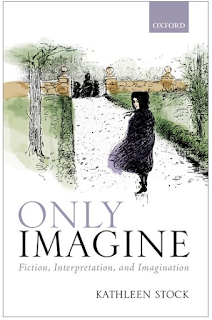 She has published widely on related topics, and her book Only Imagine: Fiction, Interpretation and Imagination is now out with Oxford University Press. She blogs about fiction and imagination at thinkingaboutfiction.me. Philosophers and literary theorists argue about three things: what fiction is, how fiction should be interpreted, and what imagination is. In Only Imagine, I suggest that all three questions can be illuminated simultaneously. I aim to build a theory of fiction that also tells us about the imagination, and vice versa. My focus is on texts. First, I defend a theory of fictional interpretation (or ‘fictional truth’ as it’s sometimes called). When we read a novel or story, we understand certain things as part of the plot: ‘truths’ about characters, places, and events (though of course these are usually not actually true, but made up). A lot of the time, these ‘truths’ are made explicit – directly referred to by the words used by the author. But equally, in many cases, plot elements are only implied, not referred to explicitly. By what principle does or should the reader work out what such elements are, for a given story? Whether explicit or implied, I argue that fictional truths are to be discerned by working out what the author of the story intended the reader to imagine. Next, I build on this point in several ways. For one, I show how this intentionalist theory complements a plausible story about how we can learn important truths from fictions; and also why we ‘resist’ imaginatively engaging with certain fictional passages. But equally, I argue that my theory lends itself to a very simple and attractive story about what a fiction is: a fiction is (again roughly, but accurately enough for our purposes) a set of instructions to imagine certain things as the case. This, finally, leads us back to the imagination. I assume that in reading a fiction, a reader uses her imagination to engage with both explicit and implied plot elements. So looking at the way readers engage with fictions gives us a great source of information about how the imagination can work. Philosophers often discuss imagination, but a lot of their pronouncements look ad hoc; not so if we focus on the reader’s imagination. Now we know how fictional truths are to be interpreted, and what a fiction is, we can see that certain popular ideas about the imagination are wrong. One such idea is that imagination is ‘by default’ belief-like, in the sense that imaginative episodes tend to be constrained in their formation and development, as beliefs with the same contents would be. Another idea, equally wrongheaded in my view, is that the imagination is always completely unconstrained, to the point where imagination could never be a good guide to what might plausibly happen in the world, let alone what is possible in it. Both of these views ignore the facts that one’s imagination, in reading fiction, is primarily directed towards what an author intends readers to imagine; that authors can have diverse intentions, in writing fiction; and that the mechanisms by which authors signal their intentions are diverse too. It’s true that sometimes, for some fictions, the reader’s imagination is constrained in a ‘belief-like’ way, but only where the author sanctions it because she makes it clear she intends to explore some counterfactual (i.e. way the actual world could or would have been). However, equally, there are many cases, in genre fiction and elsewhere, where this isn’t sanctioned; even actively discouraged. So really, it is unhelpful to say that imagination is by default belief-like, or always unconstrained: it depends on the purposes to which imagination is being put. Some imaginative episodes are in the services of working out counterfactuals, and are appropriately constrained by prior relevant beliefs; other imaginative episodes emphatically are not. We are left with the idea of imagining as a multi-functional tool, controlled by our purposes, with no particular function dominating as its ‘central’ one.